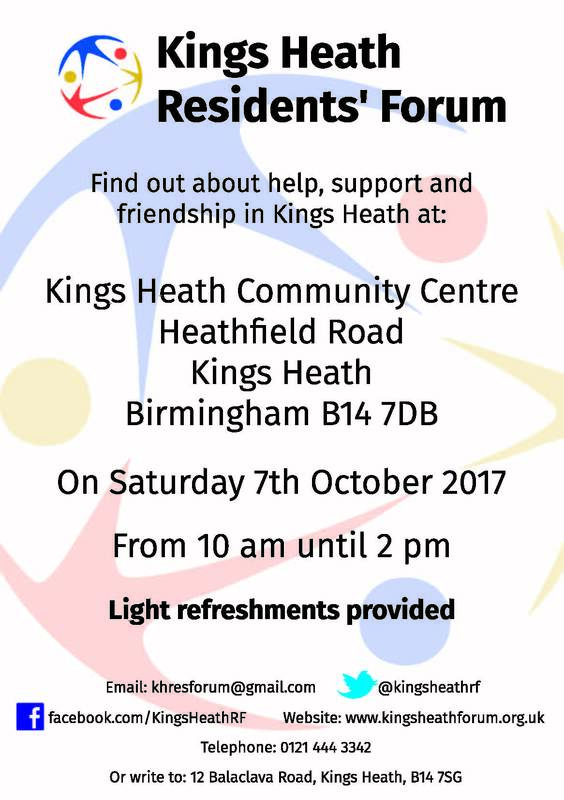 Kings Heath Forum Networking Day 10-2pm 7th October at All Saints Centre. The purpose of the day is to give local residents the chance to meet a variety of organisations that provide advice, help and support, whether that’s a social activity that also benefits the community as a whole or advice specific to an individual. Chair of Brandwood Forum , Karen Osborne will be there so come and say hello!